The following post was authored by Petros at the Isaac Brock Society. The far-reaching ramifications of the Devyani Khobragade incident has likely sent a wave of dread upon all foreign diplomats in the US: Can they still depend on diplomatic immunity? Will the US continue to wink at their domestic arrangements, their parking tickets, and their sometimes more blatant abuses? Evidently not. So they have a choice. Either face the wrath of Form Nation or leave. Foreign diplomats in the US have been put on notice. They would do well to pack their bags and return home en bloc, until the US comes to its senses. What Ms. Khobragade has learned is that any US law enforcement official is able, whimsically, to make a mountain out of molehill, and this is because of a category of law which we have dubbed “Form Crime”. Form Crime begins with the sociopathic obsessions of politicians and bureaucrats. Evidently, they sit in their offices fuming about people using their God-given freedoms to act outside of the control of government. For example, if you decide to take your money out of the US but fail to fill out a form, you could be guilty of a felony and have your money confiscated to boot. The US is not the only place where there is Form Crime. In 2010, Canadian Robert Docherty once tried to carry just less than CDN $10,000 without making a declaration. But by the time the security dogs sniffed out his baggage on his way out of the country, the exchange rate increased, so that his US dollars caused him to exceed the CDN $10,000 reporting threshold. The Canadian government didn’t think that was funny and has never returned his money to him. He is a victim of Form Crime. In the context of Form Crime, people that thought they were free get caught not filling out or making an error on a form. This is not a crime on their part, per se, unless there is an underlying offense. It is rather an egregious example of government as control freak. Form Crime results from a proliferation of new laws designed to prevent the transgression of other, sometimes more important laws. Thus, reporting requirements at the border ostensibly have the purpose of preventing money laundering or tax evasion. But in the process, travelers have lost an important freedom: the right to private property. In essence, if the King must know how much you have on your person as you leave the country, he is suggesting that your property is public and does not belong to you to do with as you wish. You are now the King’s slave. Governments through their central banks then regularly debase their currency, so that the threshold of $10,000 routinely decreases without cost of living adjustments, thus tightening the strangulation of freedom. 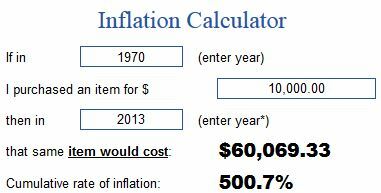 This we see in the FBAR (Foreign Bank Account Report) threshold of $10,000, which in 1970 when the Bank Secrecy Act came to be, was easily the equivalent of $60,000 (see inflation calculator). What in 1970 was a tidy sum that could even buy a house has now become a university student’s living expenses for one term. And there is now no question that control-freak governments are using this power to their advantage. Devayani Khobragade is not a criminal. She did no wrong to bring private staff to the US and pay her according to the laws of India; the Vienna Convention on Consular Relations bestows upon her this right and it is not a case of human trafficking. She apparently wrote her own salary on the DS-160, a form which according to the she should not have had to provide. But the USA is Form Nation, which importuned the Lady Diplomat to fill out a form which the Vienna Convention waives. Now, USA has charged her with a felony for allegedly lying on DS-160. Her underpaying Sangeeta Richard would normally be a misdemeanor, for which she would clearly have diplomatic immunity, has now morphed into a felony, which the US unjustly counts as a grave crime and brought charges her. The diplomatic incident demonstrates how Form Crime destroys freedoms and rights and replaces it with unbearable burdens. It is unjust rulers who perpetrate Form Crime on innocent people. Jesus criticized lawmakers in his day: “They bind heavy burdens, hard to bear, and lay them on men’s shoulders; but they themselves will not move them with their finger.” Our lawmakers are doing the same today. This entry was posted in FATCA, FBAR and reporting, U.S. tax issues and tagged Devyani Khobragade, diplomatic immunity, FATCA, FBAR, Form Crime, Khobragade on January 4, 2014 by renounceuscitizenship.